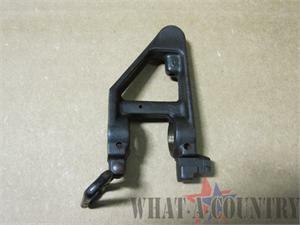 Original Colt AR-15/M16A1 front sight block assembly. Surplus Condition: Used good (Serviceable, will display: wear, use, storage). The front sight assembly includes the front sight post and its locking plunger & spring.